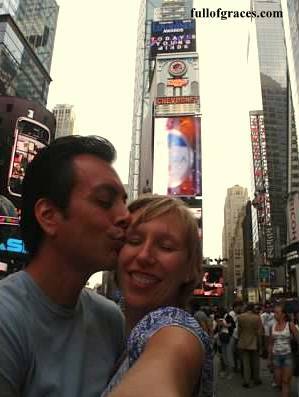 My husband and I spent July 4th 2010 in New York City. It was the first year since 9/11 that the Statue of Liberty was open to visitors. The city was crowded beyond belief and we watched the fireworks on our televisions from our hotel room. As my former students will tell you, I’m a total geek for that kind of stuff. It fires me up. But there are places on this earth, places where HISTORY has happened, that are still inhabited by the ghosts of the past. The bridge was surprisingly empty and so we had a good deal of time to drink in the beauty and the importance of that place. I could feel its weight on my shoulders and I loved every minute of it. In the city of Boston, we saw the Old North Church and Paul Revere’s house. What? One if by land, two if by sea, Baby! Awesome! I love the story of the brave men who hung those lanterns up in that Anglican (read: loyal to the King) Church, how they narrowly escaped through a window, and how Revere, a silversmith, rode on borrowed horse and stopped at each and every house, sounding his alarm, on his way to alert Sam Adams and John Hancock that the British were here. Later in Philadelphia, we visited Independence Hall. Are you kidding me? 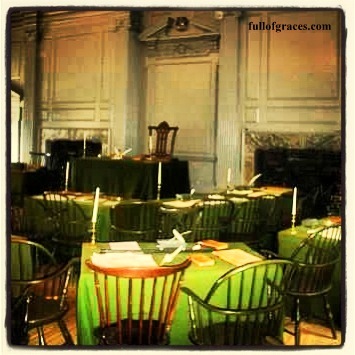 It looks just like it’s supposed to: green table cloths, original desks, Thomas Jefferson’s walking stick at his regular chair (pictured below). It was here that those men of the Second Continental Congress, some politicians, but some farmers, lawyers, printing press operators, voted to declare independence from British rule. Their names are etched in our collective American minds: John Adams, Thomas Jefferson, Benjamin Franklin, Alexander Hamilton, Samuel Adams, John Hancock. We walked in their footsteps, honored their gravesites, fell in love again with their lives and their vision for this country of ours. Sometimes I feel sad for what has become of America. I feel like we are forever divided. But on Independence Day, we are united in our reverence for those who fought for our freedom 237 years ago. We are grateful for their bravery, for their conviction, for their resolve. We remember their optimism and hope for the future, for our future. And together, we love America. 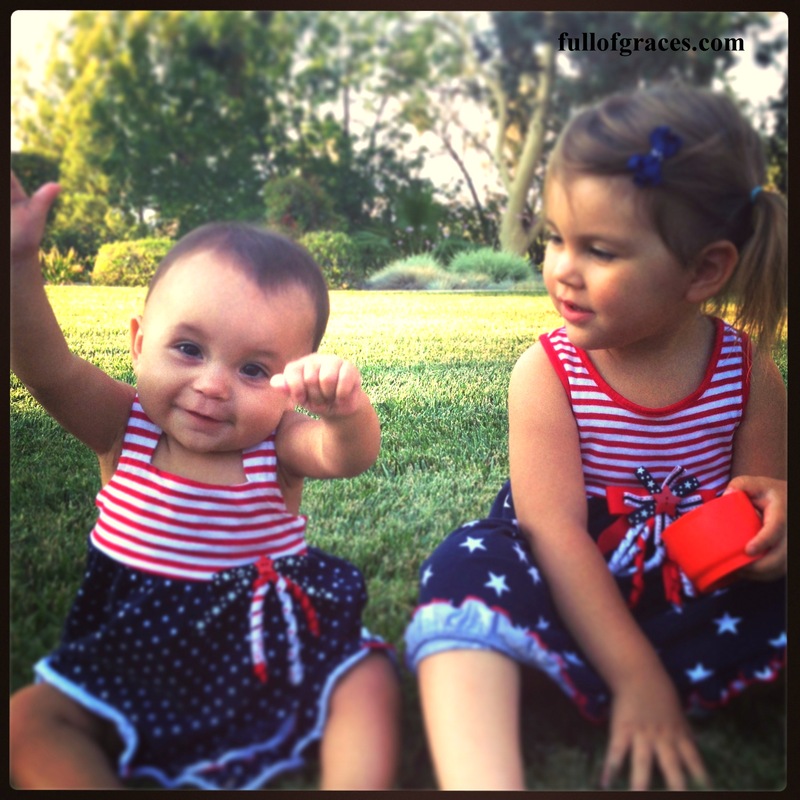 And besides, who doesn’t love the chance for matching American flag dresses? Happy Independence Day and God bless America. 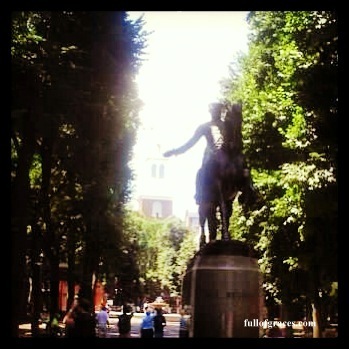 As a fellow history lover, I followed in my mind’s eye your walk through historical Boston. It was a thrill to know we were stepping on the same cobblestones as our forefathers. It gives me goosebumps even now. Thanks for sharing and God bless America. Thanks, Angela! It is thrilling, isn’t it? There is nothing like a road trip along the East Coast to inspire a vision for what this country is, was, and can be. I love that recap. But, I think I love the matching dresses a tad bit more. Happy Fourth of July! As i told Dana yesterday, what I love about that bridge at Concord is that we can stand there where the shot heard round the world was fired, then look across and see Emerson’s home. Down the street is Louisa May Alcott’s home. 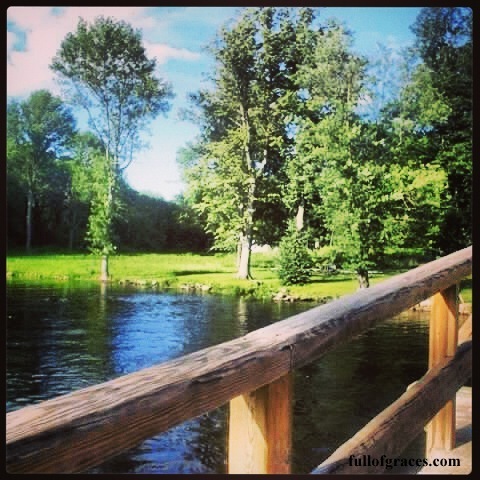 Down the highway is Walden Pond. So much bravery, genius, hope all in one small place!